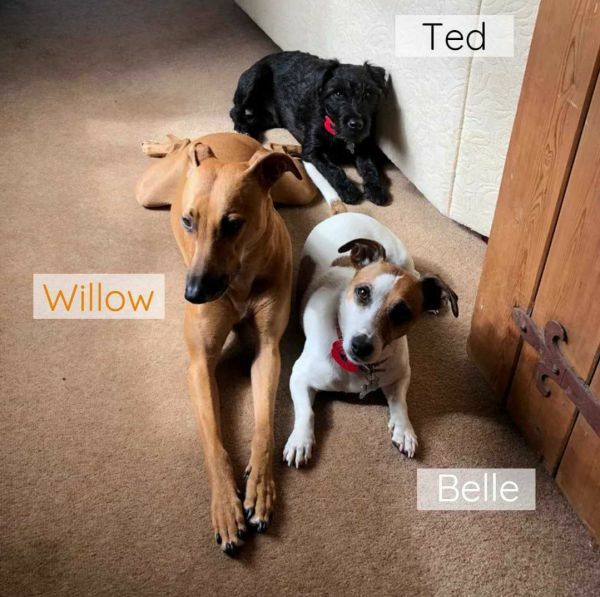 Last week was Walk Your Dog Week and it really got us thinking just how important our dogs are to us, and why we at Out of Eden think our hounds deserve a holiday too. 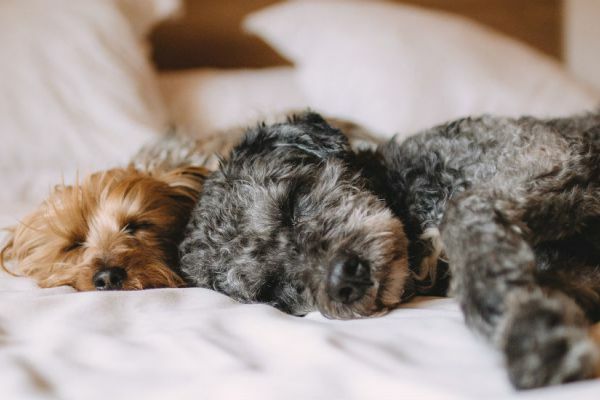 Dog friendly accommodation, throughout the hospitality industry, is going from strength to strength in terms of both popularity and availability. 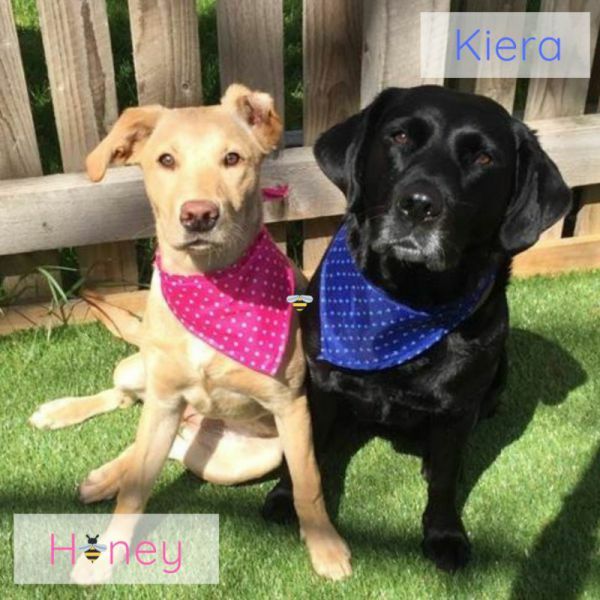 With dedicated websites sharing dog-friendly accommodation, to bloggers sharing their experiences travelling the UK for the best places for them and their pooches, to mainstream booking sites making it a prominent feature when selecting a suitable property. Our lovable four-legged friends are certainly part of the family, and rather than having to pay for kennels or dog sitters, which can take a large chunk out of our travel spends, mixed with the added guilt of leaving them behind, looking for dog-friendly properties can be the main focus of planning a holiday. In fact, by not accepting dogs can in fact hinder your potential for bookings, now more than ever as filter options on websites simply remove your property from being seen altogether. 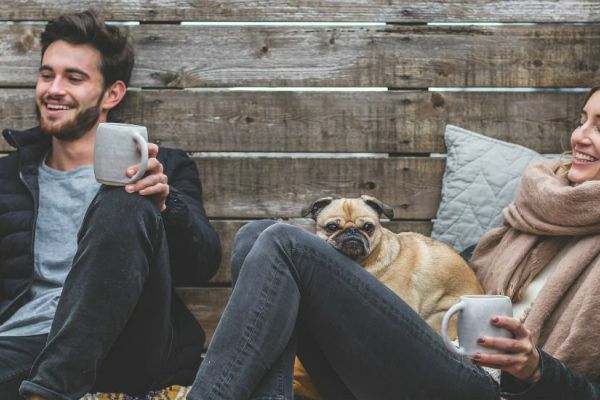 Take a look at our blog on how being dog-friendly has very quickly become the perfect formula for optimising bookings. 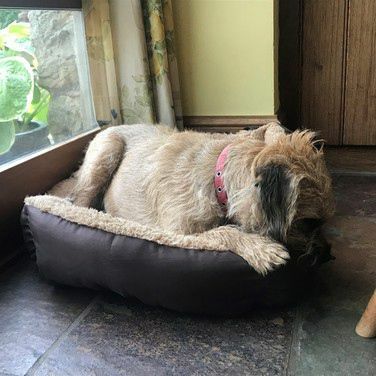 We know how im-paw-tant it is to accommodate our four-legged-friends, as a team of dog-lovers ourselves, however we also know that allowing dogs into your accommodation also increases potential for mess, breakages and general wear and tear. That's why we provide a doggy hospitality pack featuring all of the essentials your guests might need during their stay: an anti-odour dog mat, a dog towel, an anti-slip dog bowl, and of course, degradable dog waste bags! Not only are these packs a great way to make your guests feel more welcome, but you're also taking the right precautions to ensure there are no issues that might affect your property while they are staying with you. First up is Honey. This blonde bombshell is 2 in November and is a yellow/red Labrador. After an accident when she was a pup, she was left with just one fully formed ear - we think she's twice as cute though! On the right is black beauty, Kiera. “This is Honey’s mummy and is to blame for the one ear incident we mentioned earlier! She’s a black Labrador, and is 9 years young. She spends most of her time with a ball in her mouth begging you to play with her. She might be more mature than Honey, but she still loves a big cuddle”. Bronte is a sprightly 14-year-old (yes, 14!) 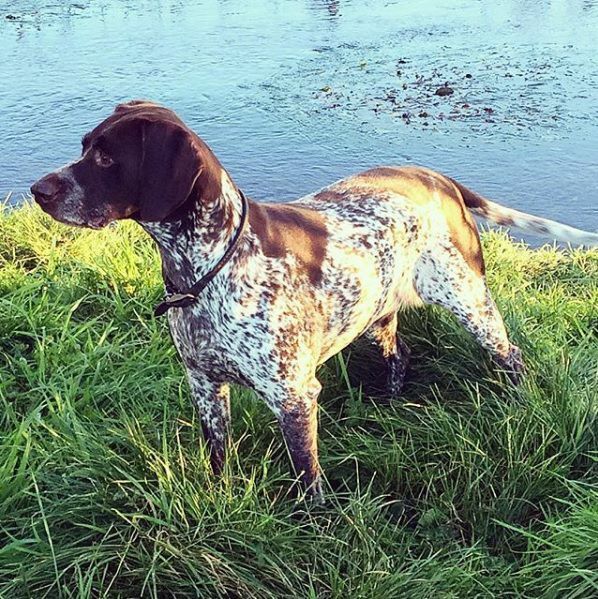 German Short-haired Pointer with the energy of a pup. She lives up to her breeds name - literally - in that she won't chase rabbits, but she will point at them forever. When she's not out exploring with the horses or running around, she has a taste for fine dining. Chewing away at the bathroom panelling, the hallway wall, chair arms and a couple of mobile phones have been some of her biggest offences to date. This little fluff-ball is Kipp, the Bichon Frise/Poodle mix. "As he's adopted we're not quite sure what age he is, but we think he's around six years old. He spends most of his time sleeping on the settee or trying to get on someone’s knee, despite being a little too big to be considered a lap dog! As I mentioned, Kipp is a rescue dog from the States. He was my birthday present and there was no way we were going to leave him in the US when we moved back to the UK. So Kipp - and the cat, Sydney - got VIP treatment, which should not have surprised us, given that each of their plane tickets cost more than our human ones! They were first on and off the plane and were visited regularly by the flight attendants to check they were OK. Despite getting ‘first class’ treatment, Kipp and Sydney were delighted to be reunited with us at Heathrow. "Ted, affectionately known as ‘Houdini’, is our two-year-old Patterdale Terrier, rehomed from Liverpool. He is the youngest and by far the craziest fur baby in the crew. He has a taste for adventure, often escaping into the field next door, climbing on to the garage roof when left unattended for more than five minutes, and going for cruises in my dad's MG (with his doggy seatbelt on of course). On the passing of our black Jack Russell Chip, our only wish was that our next dog would make us laugh every day – and he certainly does. Willow, our three-year-old ginger whinger, is 50% Whippet/Saluki and 50% Greyhound/Collie, yet 100% diva. She came from a local Cumbrian animal rescue and we are her sixth (and final) home. She has a penchant for fleecy blankets and will not go to sleep without one (trust me, we’ve tried). Belle is our five-year-old (going on 50) Jack Russell Terrier, otherwise known as the Lady of the house. Belle was sadly only one of two pups to survive in her litter when they were born so she is very special to us. She adores humans and will bounce up and down until you pick her up for a cuddle!" This is Marley, a four-year-old Border x Patterdale Terrier. "Marley was brought up as a puppy on our farm. He was sold to a local girl, but 2 years later she was moving house and could not take Marley with her. He was posted on a local seek & sell page, which we were quite upset about. We had chosen good homes for our puppies, and were frightened about where Marley may end up... So we bought him back home & have never looked back! Even with 5 dogs at home, he fits in well with the pack." 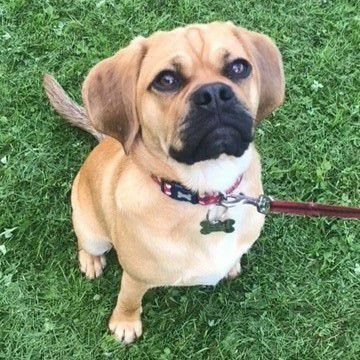 The youngest of our four-legged furbabies, Baxter is a 10-month old Puggle pup. His mum was a Beagle, and his dad was a Pug. Don't be fooled by his innocent face, though! According to Katy "he has a lovely habit of chewing shoes, remotes, my clocking in card and anything else he can get his paws on." Despite being a little bit naughty, Katy says "he is also very friendly and loving. He loves his food and spending time with other dogs. 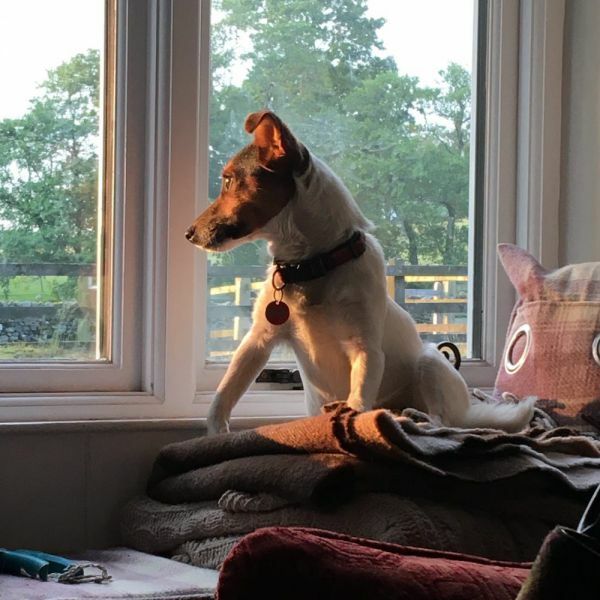 He’s so fond of a particular dog in my Gran’s village that he's even ran down the street on a few occasions… and sat outside their house waiting for him!" This is Stella, a one-year-old Whippet. “She is very caring and loving and is my perfect companion.” says Emily. "She's also very mischievous and often loves to cheekily grab objects ranging from a pair of socks to my mum’s potpourri and run outside with it to chew on the lawn. She can go from running at speeds of up to 35 mph to being fast asleep in her bed, making the whole house aware with her loud snoring. When she's not on the hunt for rabbits, squirrels, cats or anything small that moves, she's most likely sneaking upstairs to sleep on one of our beds!" Rhu is a one-year-old Jack Russell Terrier, and, being the smallest dog in the bunch, was so tiny as a young pup that she could fit in the palm of your hands. Even now, one year on, Marion says "people still ask if she's a puppy!" "She's very active and loves to run around, I can take her on a 3-mile walk and as soon as she gets back she would still quite happily go again. Her favourite things are FOOD of any description and chasing a ball. 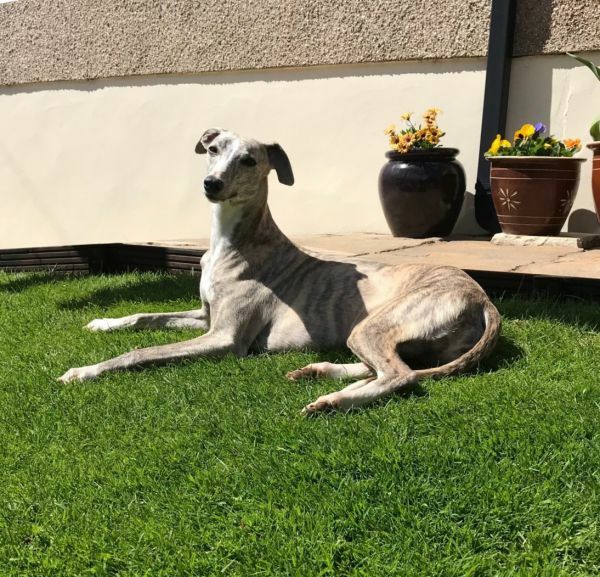 When she's not running around, she also enjoys sunbathing on the doorstep in the lovely sunshine, so she has been very spoilt by the lovely weather this summer." 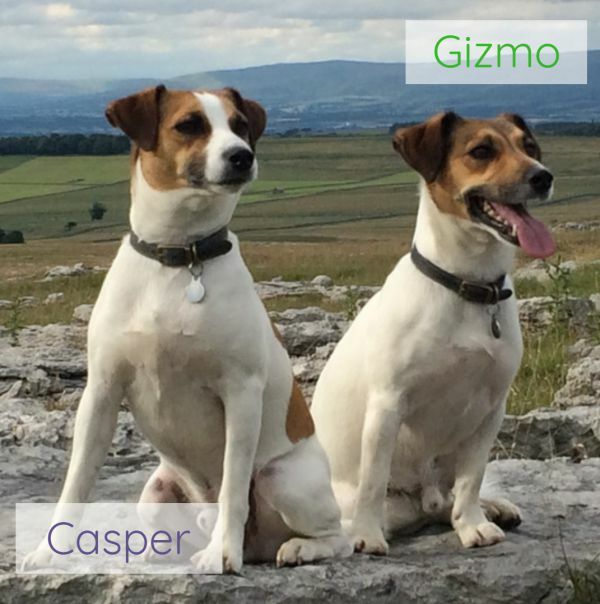 These cheeky chappies are six-year-old Jack Russell Terrier brothers, Casper and Gizmo. "Casper is a huge fan of a squeaky toy and will remove the squeak from ANY toy going. Gizmo on the other hand is a much gentler character and will lovingly play with his stuffed toys for hours on end, keeping their filling in tact! As with all terriers they are little hunters and they love chasing birds, rabbits and squirrels! Gizmo is the naughtiest when it comes to hunting and has been known to take off and please himself in the search for fun!" Naughty Gizmo! 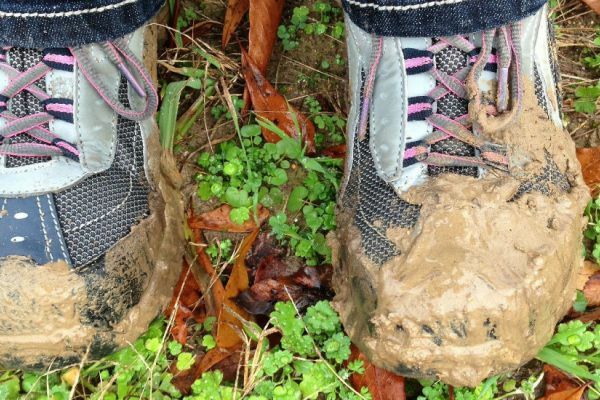 Gizmo has also had his own fair share of bad luck, as he once ventured down a disused badger set in pursuit of a rabbit and took 4 hours to surface… "This isn’t ideal at any time but especially not whilst heavily pregnant with my due date only a week away," said Laura. "Gizmo and I BOTH got told of for that incident!" As you can see, our furry friends come in lots of different shapes, sizes, breeds and colours with their own personalities and quirks - but that's why we love them! Let us know your thoughts on being dog-friendly in the comment section below. Thank you for your lovely comment Angela :) so sorry to hear about Sandy, but we're very glad this blog made you smile. Thankyou, your owners' look wonderful. I have a 11+ year old golden lab sadly just diagnosed with cancer. Sandy has owned us since she was 10 weeks old, just as cheeky as she was then. Thankyou for making me smile. Before you take up your post at the front door of your B&B armed with a high pressure hose, take a browse through the much more guest-friendly equipment available right now from Out of Eden. 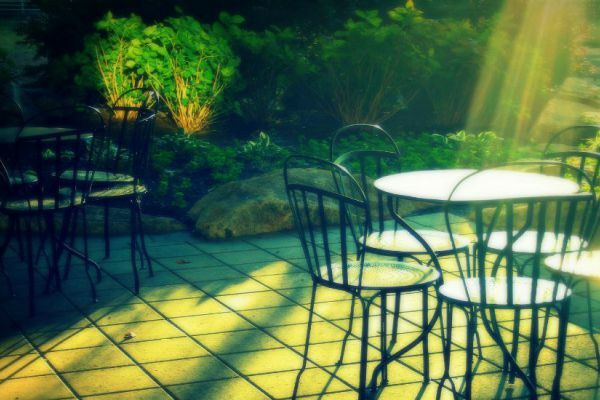 Make the most of the outdoor space at your B&B, guesthouse or self-catering property with these helpful tips. Advice for smaller self-catering accommodation venues to encourage bookings and welcome new guests.